We’ve already spent time this week discussing the poor conduct of some fans and the implications of their actions at sporting events. There was the guy in New York who heckled James Dolan, the owner of the New York Knicks and New York Rangers. And in two separate instances last week, soccer fans in Great Britain raced onto the pitch to physically attack players. Now we need to take it one step further. 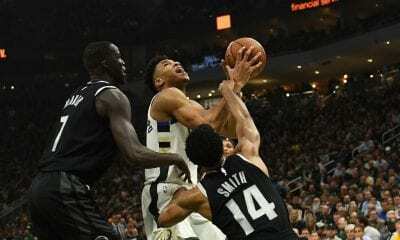 In Salt Lake City earlier this week, something just as awful took place in an NBA game between the Utah Jazz and Oklahoma City Thunder. A shouting match ensued between a Jazz fan, Shane Keisel, and his wife, and Thunder guard Russell Westbrook that quickly escalated into a potentially incendiary situation. Apparently, it started innocently enough when Keisel asked Westbrook why he was icing his knees when he was on the bench. Westbrook told Keisel he usually uses a heating pad. And then it all got out of control. What apparently took Westbrook over the edge was Keisel’s comment that he should “Get on your knees like you’re used to.” Westbrook said after the game he considered it disrespectful and racially motivated. According to The Athletic, Keisel told a television station in Salt Lake City he thought he and Westbrook were joshing each other, that Westbrook was even smiling at one point and that he never swore at him. Thunder guard Raymond Felton, who was standing near Westbrook at the time, countered Keisel’s explanation, saying he did tell Westbrook to get on his knees. Regardless, Jazz security acted swiftly, descending on Keisel, and the team announced it had issued him a lifetime ban. But Keisel was not the only one punished. The NBA fined Westbrook $25,000 for the way he responded to the taunting. Kevin Durant was also fined for a similar incident this season. In the wake of it all, something very interesting happened Thursday before the Jazz played the Minnesota Lynx. 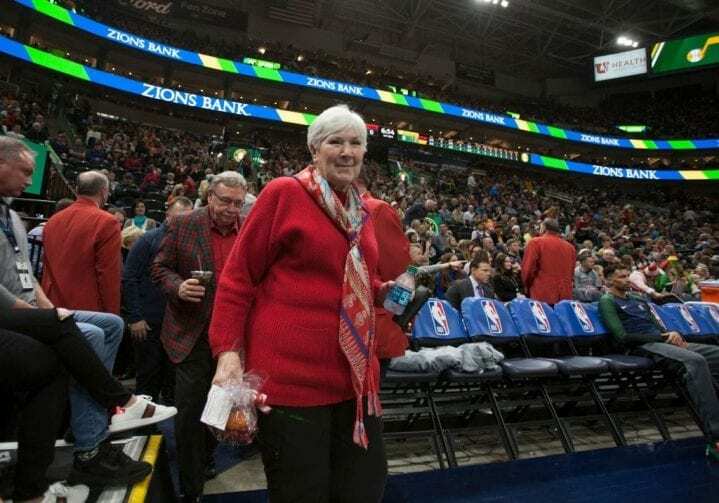 Jazz owner Gail Miller spoke to the crowd for nearly four minutes, explaining the organization would not tolerate further unruliness at their games. “This should never happen. We are not a racist community. We believe in treating people with courtesy and respect as human beings. From time to time, individual fans exhibit poor behavior and forget their manners and disrespect players on other teams. When that happens, I want you to jump up and shout ‘stop.’ We have a code of conduct in this arena. It will be strictly enforced. Before the game, Miller circulated an email to fans reminding them of what their responsibilities were if such an incident repeated itself. This is the first time we can recall an owner talking directly to a fan base about disorderly conduct. It’s not unusual for public address announcers to remind fans to calm down if they start throwing things on the field or fights break out on a huge scale in stadiums and arenas. 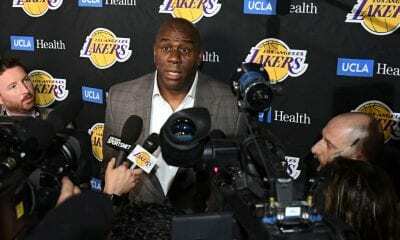 Aware this is not the first time something like this has happened in her arena involving Westbrook, Miller is obviously concerned about the reputation of her organization. 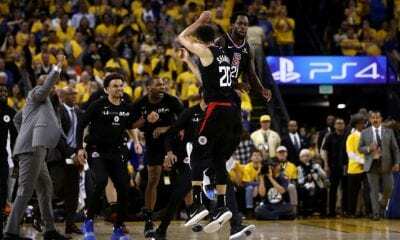 An incident like this can further cast a negative light among players who come to town and bring heat from the league, which might feel not enough is being done to deal with fan behavior. “Every time I come here it’s a lot of disrespectful things that’s said,” Westbrook added after the game. After the game we found out the Jazz were aware of simmering tension between Westbrook and their fans. In last season’s first-round playoff series between the teams, which the Jazz won in six games, a fan shouted down Westbrook as he left the floor at halftime of the final game. 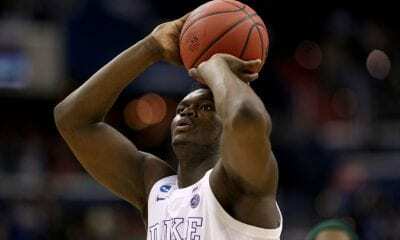 After it was done, he slapped away a cellphone from the hand of another fan sitting courtside. “I don’t confront fans, fans confront me,” Westbrook said after last season’s incident. “Here in Utah, man, a lot of disrespectful, vulgar things are said to the players here with these fans. It’s truly disrespectful. (They) talk about your families, your kids. It’s just a disrespect to the game and I think it’s something that needs to be brought up.